Potamia. 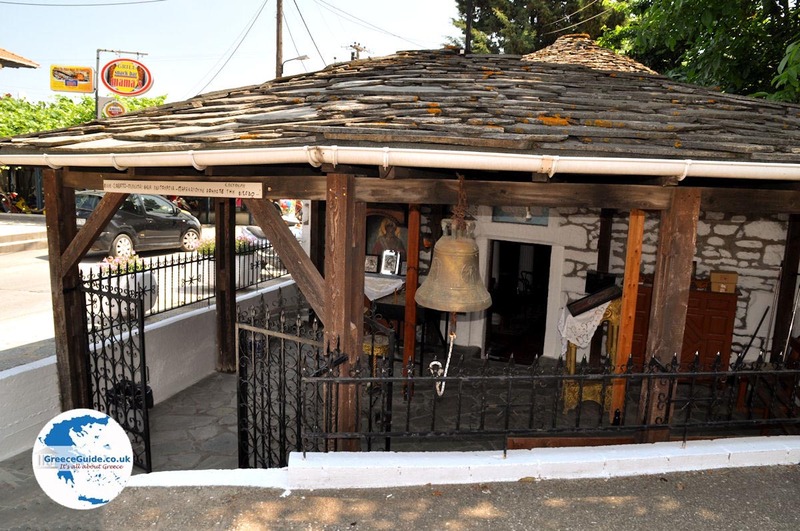 Potamia is a small traditional town which is amphitheatrically built on the beautifully wooded slopes of the highest mountain of Thassos: Ypsario (1204 meters). 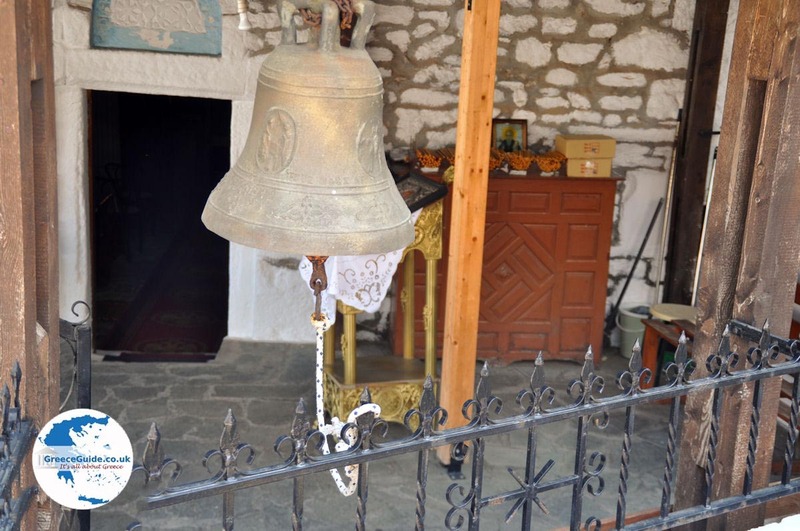 Potamia lies in an area with many planes and wells where water flows into a small river. 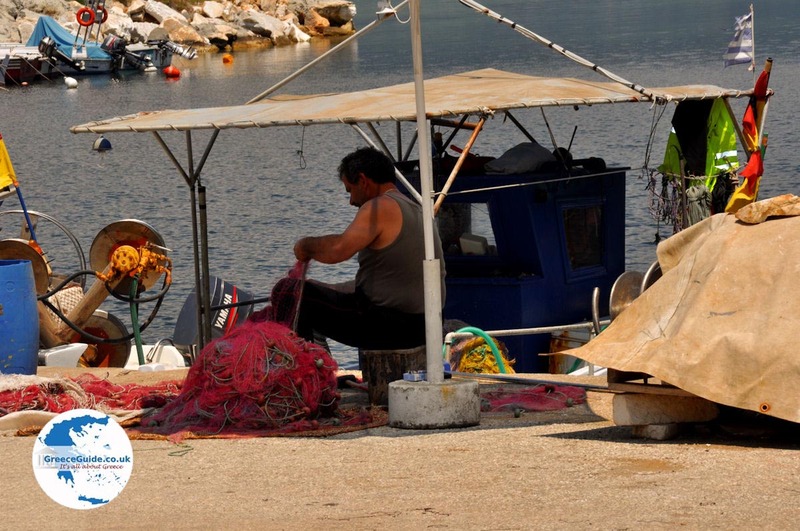 Hence the name Potamia because potami in Greek means river. 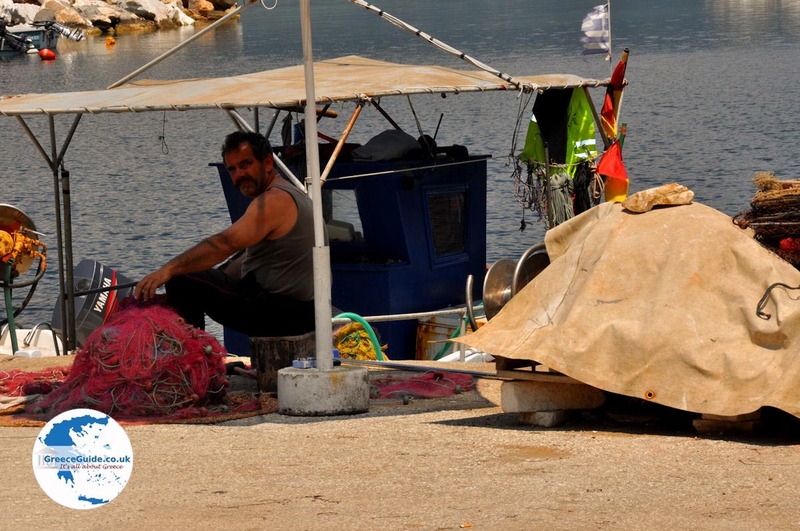 This town is located about 10 kilometres south of Thassos town and has just over 1200 permanent residents. 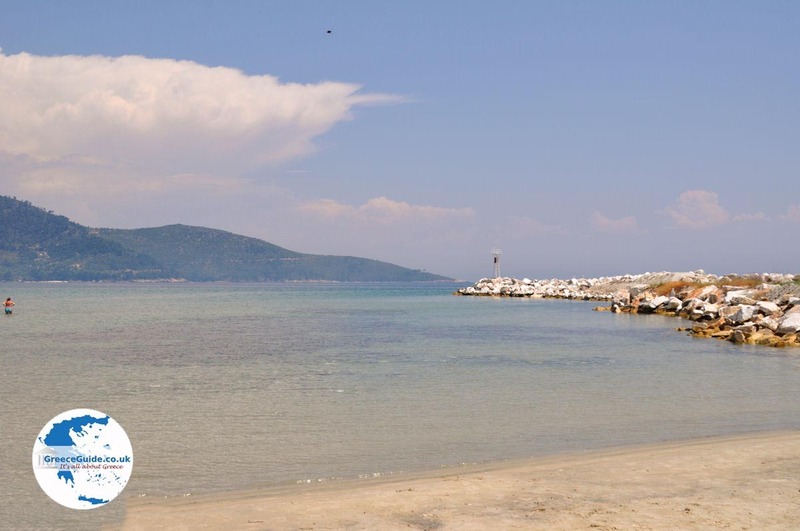 East of the city, on the coast, lies Skala Potamias (about 15 kilometres from Thassos town). 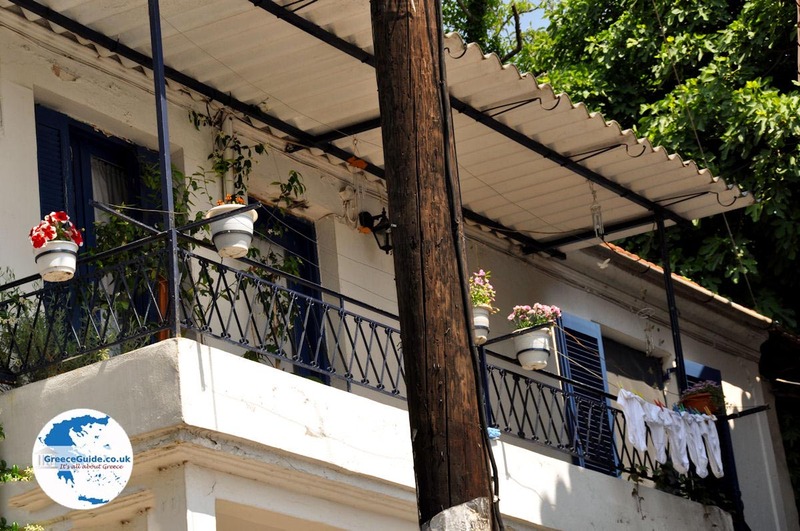 This is the seaside resort belonging to the main village Potamia. 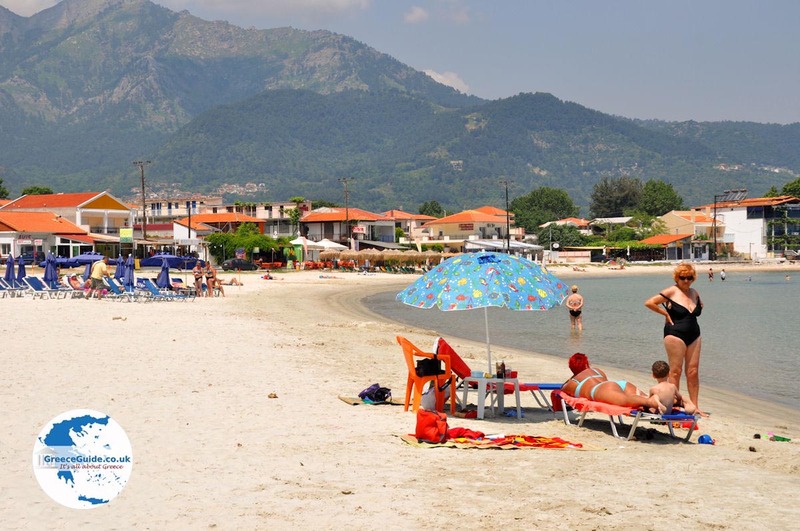 The beach of Skala Potamias is also called Chrissi Akti (Golden Coast). It is so named because of the beaches here consisting of golden sand. It is a beach which is two kilometres long, some parts of the beach are with gravel or are quite rocky. North of Skala Potamia, lies the village of Skala Panagias which is the place where the famous beach Golden Beach (Chrissi Ammoudia) lies. 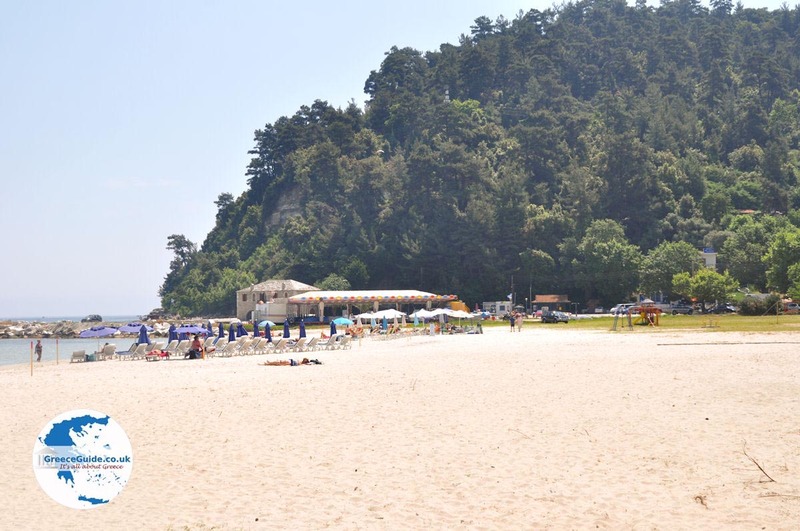 Golden Beach is one of the most popular beaches of Thassos, it is a beach where families with little children love to come. 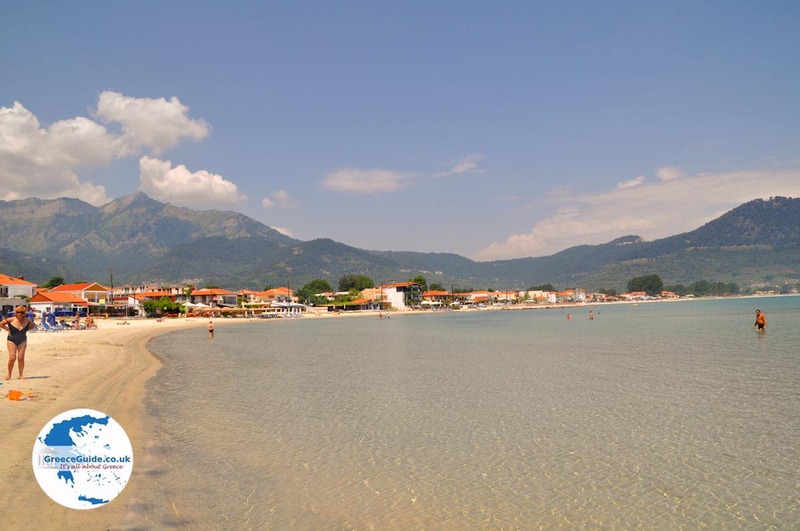 - The beach Paradisos (Paradise) which lies between Chrissi Akti (Golden coast) and the village of Kinira. 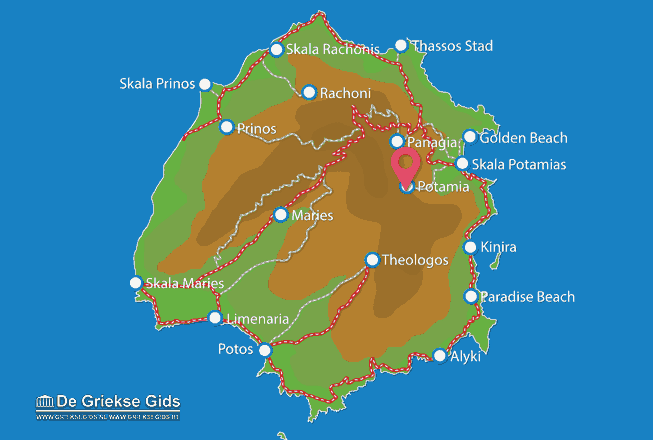 Thassos: Where on the map is Potamia located?